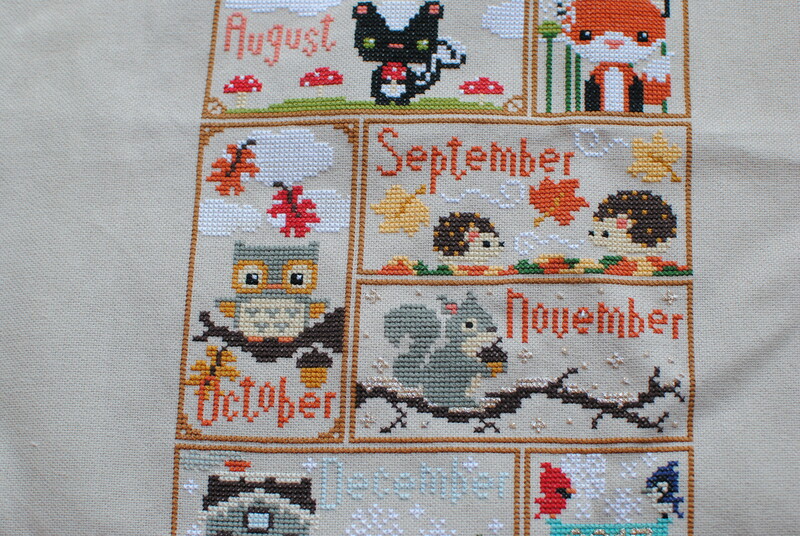 One of my goals this year is to finish 2 cross-stitch patterns. 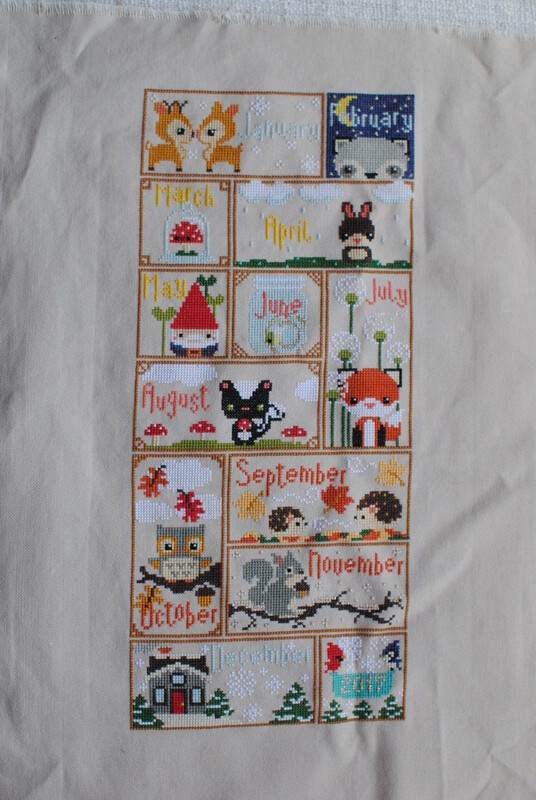 I fell in love with the Frosted Pumpkin Stitchery's Woodland Sampler back when it first came out as a stitch-along... all the way back in 2013. I've been working on it, not-so-steadily, since then. 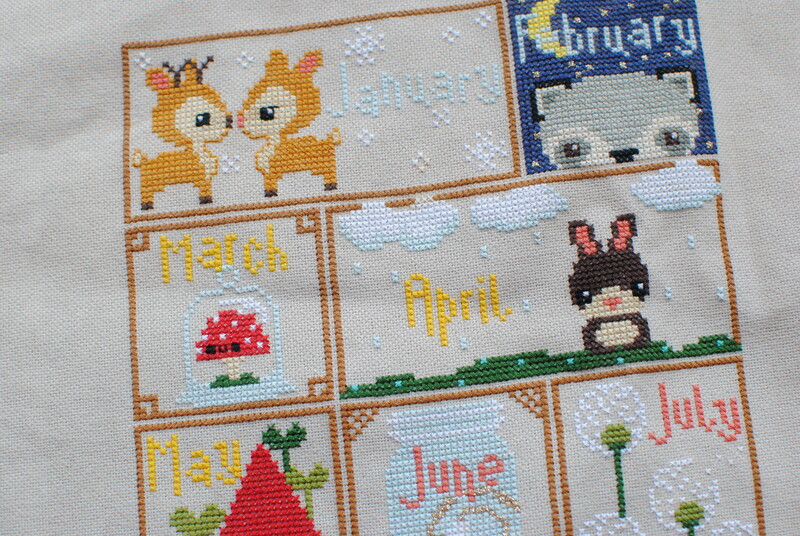 When I found out I was pregnant, I knew I wanted to complete this piece for the nursery. And I finally did! 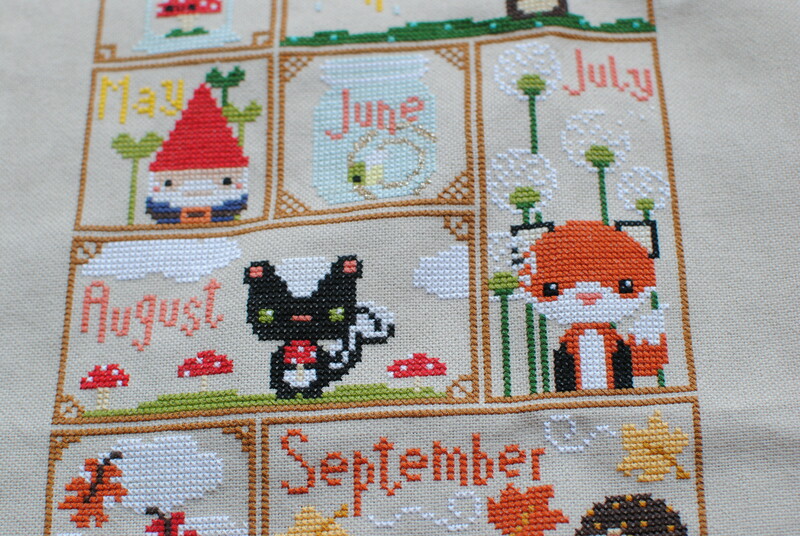 I am so happy with how this turned out - it's so cute! 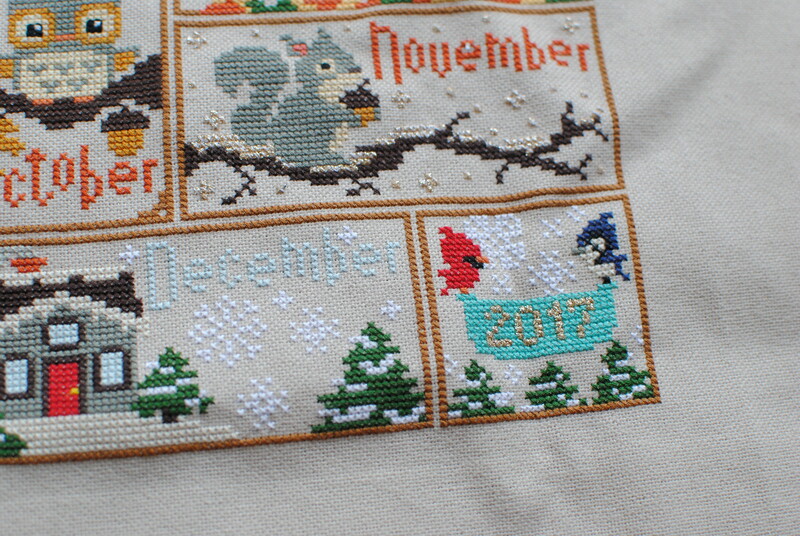 I modified a few of the months, but for the most part I stayed true to the pattern (for those interested, my modifications are listed below). Now I just need to frame it!